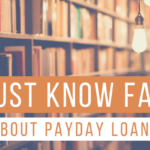 If you’ve taken out a payday loan before, you know that all you need to “qualify” for a payday loan is a bank account, a source of income, and identification. Payday loan lenders don’t typically do a credit check or much leg work to ensure a borrower can actually repay the loan. 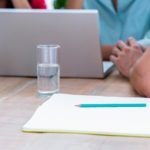 What’s Required to Get a Payday Loan? A payday loan requires that you provide a check for the total amount of the payday loan plus fees. You’ll also be required to prove that you have a steady source of income and show identification. Most states also require that you’re at least 18 years of age or older. Your check is held until your payday loan is due. At that time, the check can be cashed by the lender for the full amount. Or the borrower can pay the finance fees/charges to roll the loan over to the next pay period. Unfortunately, this cycle has far too many times in a row and the sky-high Interest and fees continue piling up … leaving many payday lenders in mountains of debt, unable to get out. 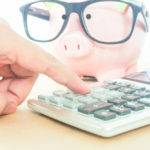 How Much Can You Get a Payday Loan for? The average payday loan is about $500, with most loans ranging from $100 to $1,000. The average loan term is two weeks. What are the typical interest rates for payday loans? Payday loan interest rates are excessively high, typically averaging 400%!!! Although, this site notes that some two-week term loans have interest rates as high as 780%! 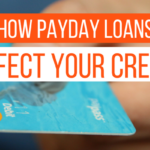 Your best option is to stay far, far away from payday loans. However, if you’re caught in the vicious cycle of payday loans and are struggling to get out, contact us today. Our team specializes in payday loan debt relief and we’re ready to help you today.